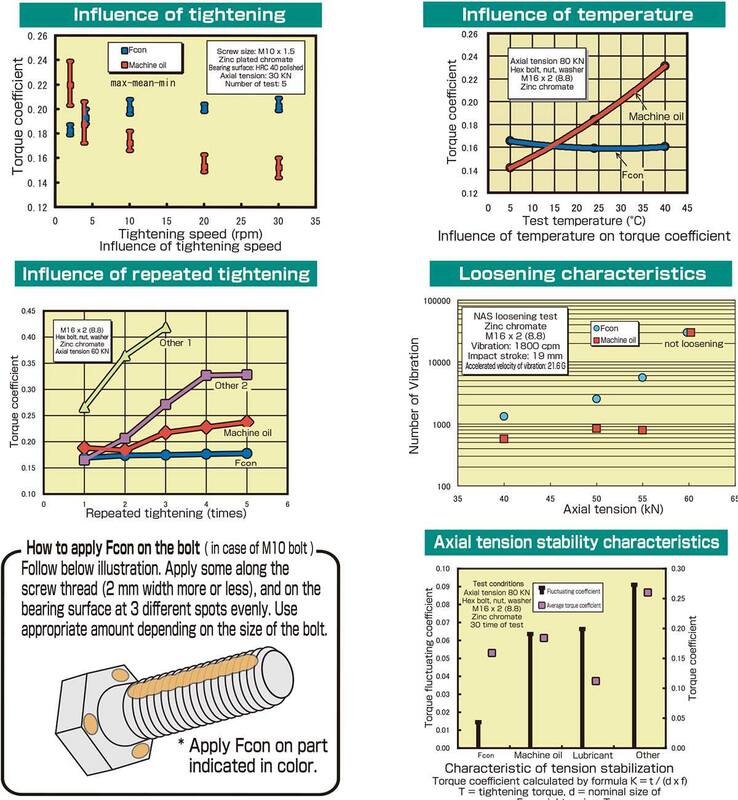 Bolt tension stabilization creates highly consistent fastener tension. Helps to stabilize bolt tension by applying some on the bolt. It's easy to use Fcon. Simply apply some on the thread. Fcon uses an axial tension stabilizer to control friction on the interface between the bolt surface and the bearing surface, and to also control torque coefficient fluctuations. Variation of torque coefficient can be reduced less than up to 1/5 compared to that of machine oil. Less fluctuation of torque coefficient when retightening. Stable torque coefficient when temperature change. Performance of loosening characteristics is more than machine oil. Extremely small fluctuation of torque coefficient to the variation of speed. When using Fcon, use a tension meter (such as B-BTM or TT2000) to determine the torque coefficient of the bolt.